2 Bedroom Terraced House For Sale in Downham Market for Asking Price £205,000. Countrywide New Homes are proud to be working with H C MOSS to offer you this beautiful development in Downham Market. Carrstone Meadow is a development with a range of 2, 3 and 4 bedroom houses and Bungalows. This development also benefits from Help to Buy and 10 year NHBC warranty. The Oxlip plot 34 is a beautiful 2 bedroom end-terrace house with a great size kitchen, separate dining/living area with double doors leading to the garden. Upstairs you have 2 large double bedrooms and a separate family bathroom. 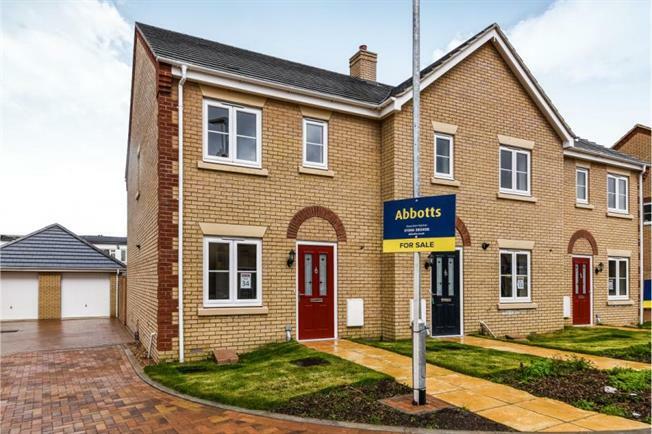 HELP TO BUY - With a Help to Buy: Equity Loan the Government lends you up to 20% of the cost of your newly built home, so you'll only need a 5% cash deposit and a 75% mortgage to make up the rest.